In Native American > Show & Tell. I originally posted this as an ashtray because it has a notch for a cigarette. Having had no luck researching it I once again turned to this site and Barneby's appraisal. I was totally amazed at what I bought at a yard sale for fifty cents. Guarantee line Attributed to the Abenaki Native Americans of New Hampshire. Description The object has varied colors of grey, black, tan and white, and I believe that the material is steatite, which is a soft stone and was used by Native Americans to make cooking containers before the common use of clay. Stone is a good material for cooking because it retains heat for a long time. The notch that was made is evident. Soapstone is also known as steatite or soaprock and is a type of metamorphic rock. Both soapstone and steatite contains serpentine and magnetite. Soapstone is also known as soap-rock, black talc and lava stone. From the fact that it has in years past been used, particularly by the aboriginal tribes, for making rude pots, it has also received the name potstone. 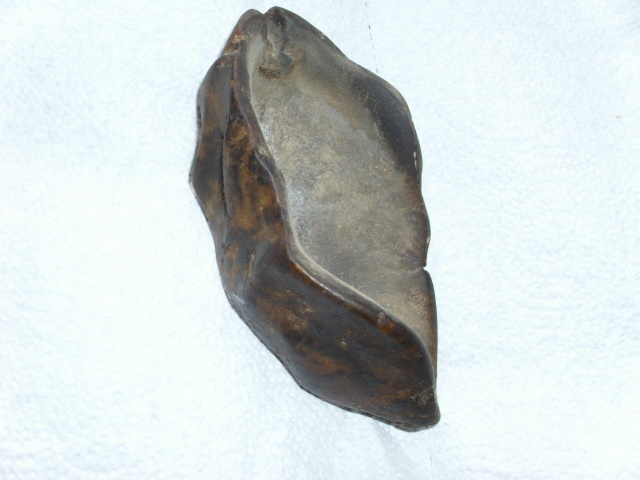 The stone bowl is of the Abenaki culture; the Abenaki also made wood bowls, which are valued much higher in the auction market at this time. NOTE: Stone Abenaki bowls that have been excavated were found in fragments, it is amazing the this item was found intact. 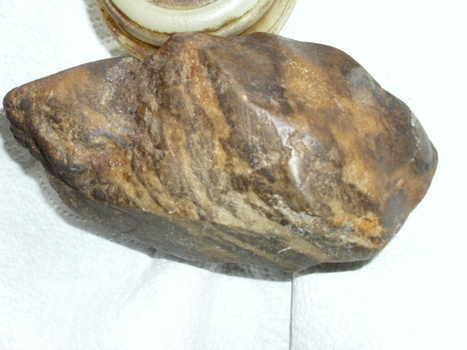 Date Circa 17th to 18th Century A.D.
Notes The first New England soapstone deposit to be discovered was in Francetown, New Hampshire. It was discovered in 1794 and closed in 1891. During the heyday of its popularity, various common used by colonists were for sinks, water pipes, stoves, hearths, warming stones, mantels and industrial purposes. The oldest artistic works were made of stone in New Hampshire. The Abenaki were known to have inhabited Walpole, New Hampshire. The Abenaki occupied the greatest part of what would become New Hampshire, while a smaller tribe called the Pennacock lived in the southern part of the state. I will add that the decimal point in my .50 cent purchase has moved well to the right with this appraisal. I wanted to resurrect this post with the final finding for information purposes. Thanks Manikin Initially there was a moment I thought about selling it. On second thought it might be well received at the Abenaki Museum for others to enjoy for years to come. I have been to one of their old camp sites and have seen the images they carved in the ledges along the river. All quite interesting. I assure you it won't be used as an ashtray anymore. fhr, glad that Barneby's gave you such great news. I was thinking of using them for something too, but was hesitant, now i just have to get my act together and send it over. Thank you for sharing the info, very educational!